Although this blog is associated with the bathroom renovation, it talks about something that I did as a result of convenience rather than anything that was required a for a bathroom. A side effect of working in the tech sector is that you have a focus on technology in the home that tends to excess. 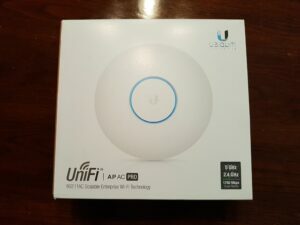 As a result of this, and the fact that poor Wi-Fi coverage is something that drives me nuts, I have an array of Ubiquiti UniFi access points throughout the house. Definitely more commercial than the average home owner needs but, like I said, I’m a techie. Also, in my defense, the double brick construction of our house with 18″ solid wall separating some of the rooms plays havoc with coverage – particular at the extreme ends of our long, skinny layout. So, as we had the walls open and were pulling wire from the basement for an new electrical circuit anyway, I took the opportunity to bring up an Ethernet cable to the bathroom, a part of the house near the far end of the upstairs. The nice thing about the UniFi AP AC Pro is that it uses standard Power Over Ethernet (POE) so that there is no need to have a separate wall wart plugged in to power it. The result is a nice clean installation with both network connectivity and power provided through the same Ethernet cable. As a side note, these access points do require that you run a separate management server to configure them so are likely not a good option for anyone that doesn’t have a reasonably good grasp of tech (particularly networking). 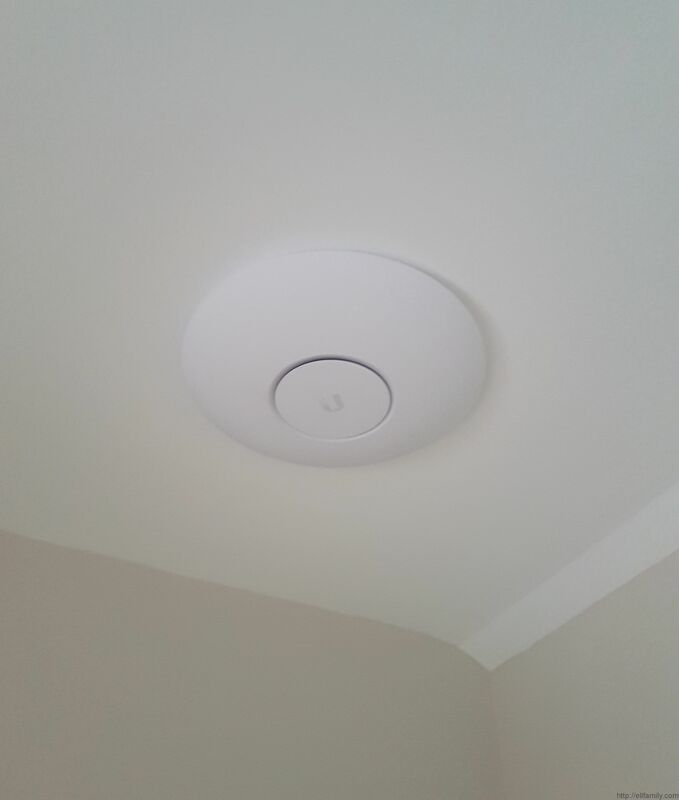 The end result is an unobtrusive installation on the ceiling that provides excellent Wi-Fi coverage to a part of the house that was under served up to this point.